Citrix or Terminal Server Deployment of ZynBox includes the actual software installation and the deployment of two configuration files. Install ZynBit on a local admin’s machine. Open the file C:Users”Username”AppDataRoamingZynbitUser Settings.config Where username is a machine user who has installed ZynBit. Edit the file to include appropriate options for your site (see details below). Make sure to clear existing credentials if you obtain these files from an existing installation as described in User Settings.Config step 5. Install ZynBit on the citrix/terminal server. 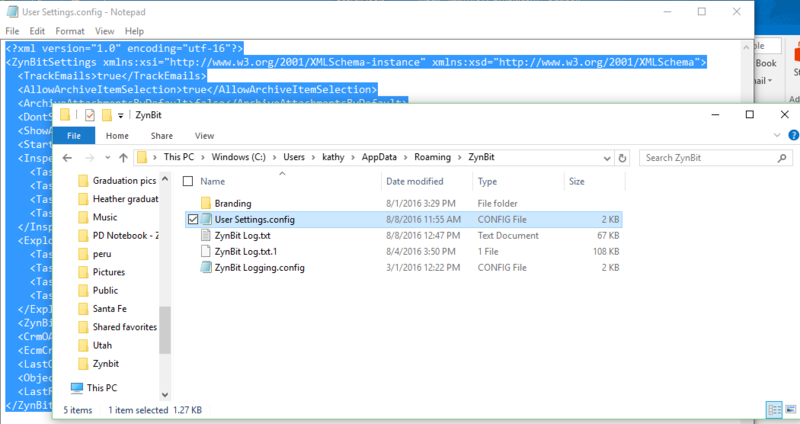 Copy the User Settings.Config and Logging.config files to the user app data folders for deployment.